Lee (centre) and Liew (right) give the thumbs-up to the impending pipe-laying work in Desa Pujut 2. MIRI: All households in Permyjaya near here will be fully supplied with piped gas once the pipe-laying work being carried out in Desa Pujut 2 is completed by end of next year. According to Assistant Minister of Tourism, Arts and Culture, Datuk Lee Kim Shin, Desa Pujut 2 is the only area in Permyjaya without piped gas supply. “Sarawak Gas is doing the installation work in phases at Desa Pujut 2, which is home to 1,073 households. The work is done in four phases, and work on phase three now involves 296 houses,” he said during a visit to the project site yesterday. Sarawak Gas site manager Richard Liew was also present during the visit. Lee said the final (fourth) stage, involving 255 houses, would start very soon. He also requested Sarawak Gas to extend the piped gas supply to Naim Southlake and Vista Perdana housing areas. “The good thing now is that consumers can pay for the installation of gas piped to their respective house through instalments The down payment is as low as RM380, depending on the scheme chosen. Once they have piped gas supply at home, they can save a lot compared to using cylinder gas. The average bill a month for piped gas supply is RM10,” he said. Lee added that consumers here are very lucky as Miri is the only city in the country with piped gas supply. Meanwhile, Liew said the implementation of piped gas supply to Naim Southlake and Vista Perdana would only commence once the Pan Borneo project passing through the area is completed. Commenting on the phase four project at Desa Pujut 2, Liew said it would commence very soon. They were still waiting for the signed agreement to be returned to them, before the work could start. 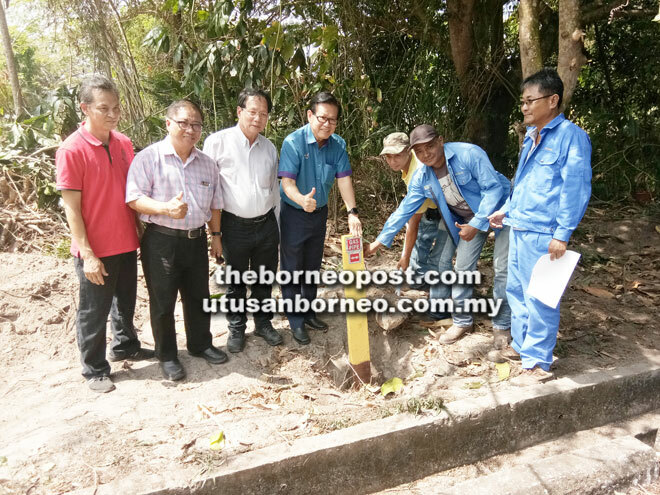 The post Permyjaya to be fully connected to piped gas grid soon appeared first on Borneo Post Online.